Looking to live large on a narrow lot? The 38′ wide footprint makes this model ideal. The charming craftsman detailing of this home will enchant passersby and the interior is equally pleasing! 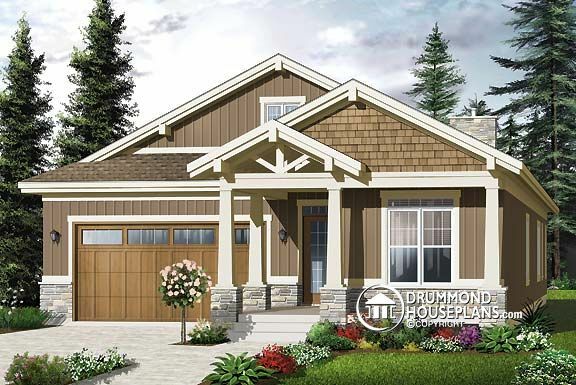 Looking for other bungalow or craftsman house plans? Check our One-Story and Bungalow House Plan Collection, our Craftsman Collection or Create a “New House Plans – Latest Trends” Alert to receive all of the latest designs direct to you by email! Like this house! Have possible zoning and bldg. requirement issue.